JERUSALEM – An Israeli civilian whose vehicle came under attack by Palestinian rock throwers during a riot in the West Bank city of Hawara reportedly shot dead a Palestinian man and injured a photojournalist from the Associated Press. Palestinian rock throwing attacks against moving cars can be deadly. The Israeli civilian trapped in the riot told reporters he “fired in the air fearing for his safety” and two Palestinians were hit. One of the Palestinians died of his wounds, according to reports. The incident apparently transpired during a riot that brought around 200 Palestinians to Route 60, a road used by both Israeli and Palestinian vehicles. 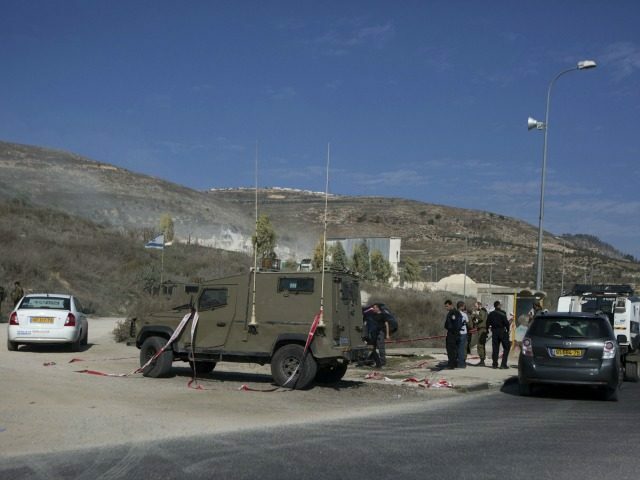 A group of Palestinians were throwing rocks at cars along the road near Nablus, when the Israeli civilian, a resident of a nearby settlement, opened fire with his handgun, the army said. “A violent riot broke out near Hawara, in which hundreds of Palestinians threw rocks at passing vehicles,” a military spokesperson said. The protest was held in support of hundreds of Palestinians in Israeli jails who have been on hunger strike since April 17. A spokesperson for the Binyamin Regional Council said in a statement that it was the third day in a row of riots along the highway near Hawara.